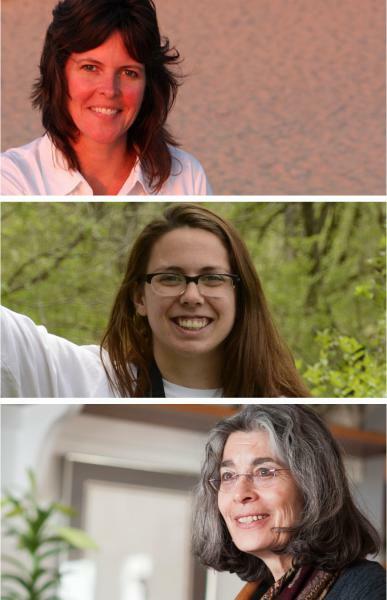 Please join editor Stefanie Brook Trout and contributors Maryann Lesert and Stephanie Mills for readings from Fracture: Essays, Poems, and Stories on Fracking in America, a new anthology that explores the myriad impacts of hydraulic fracturing on ecosystems, communities, and the human spirit. The environmental writers will also discuss why the sciences need literature and other arts—and never more so than now, when urgent action is needed divert our planet from its collision course with catastrophe. Stefanie Brook Trout is an alum of the UMich Biological Station and LSA Program in the Environment. She received her MFA in Creative Writing and Environment from Iowa State University where she was the Iowa Lakeside Laboratory’s Environmental Writing Fellow. Before Fracture, Stefanie co-edited Prairie Gold: An Anthology of the American Heartland. Maryann Lesert is a playwright, novelist, and journalist who teaches creative writing and writing based on the environment at Grand Rapids Community College. Her first novel, Base Ten was published by Feminist Pres. Threshold, her current novel in progress, grew from research on fracking in Michigan’s state forests. Stephanie Mills is the author of seven books, including Epicurean Simplicity, Tough Little Beauties, In Service of the Wild, and On Gandhi’s Path. Over the past 40 years, she has written essays and articles appearing in publications from Orion to The Britannica Book of the Year. Featured in the PBS documentary EarthDays, Stephanie Mills is a Fellow of the Post Carbon Institute.